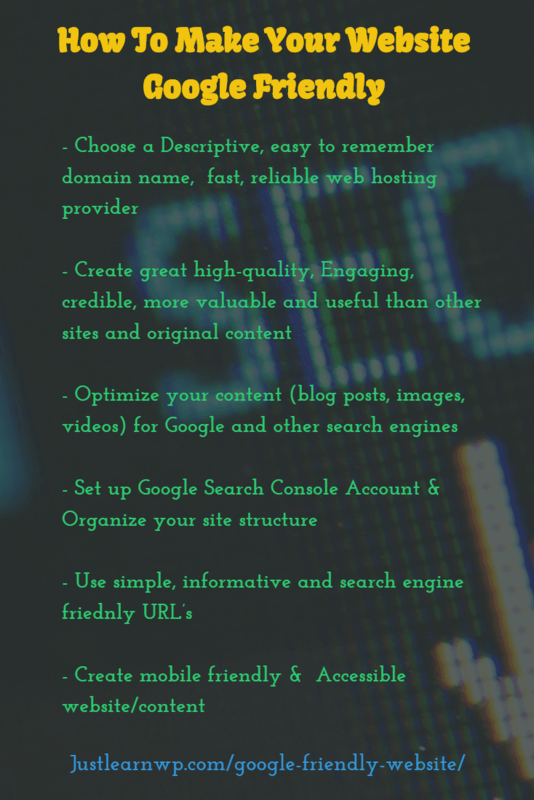 Setting up a new website is easy but if you want to create a high-quality website, read these guidelines by google to learn how to create a quality website or blog from scratch, keeping best practices in mind recommended by Google. Google the most popular search engine is the first choice of people when they are looking for information. As a blogger and web developer, it’s our job to create great high-quality content and quality websites. In this article, I am going to discuss how Google search works and what you can do to make your websites and blog more search engine friendly. We already have published an in-depth guide to Make WordPress SEO Friendly. History: Google was launched in September 1998 founded by Larry Page, Sergey Brin. Google is one of those few companies which was started in garages. In Feb 1999 Google team moved from Garage office to new digs at 165 University Avenue in Palo Alto with just eight employees. You can read detailed Google History I believe you will enjoy it. We have used Google thousands of times but have you ever thought how google search works and how google shows best and most relevant results. What they use and how they defeat spammers and bad people who try to cheat Google. Everyone, who has a blog or website wants to be in the top 10 result because google can send a lot of high-quality traffic to your blog or website. If you really want to be in Google results then you should always follow best practices recommended by Google. Google has published very detailed information for web developers. This is a must-read guide to learn how to create a quality website and insidesearch documentation explains how google search works. If you want to create powerful and google friendly websites then you should read all these guides published by google. Inside Search: How google search works is a great resource where you can learn how google search works and what you should not do as a web developer. Google index is well over 100,000,000 gigabytes, and Google has spent over one million computing hours to build their index. Google uses softwares commonly known as web crawlers to discover web pages which are publicly available. Google bots and crawlers find all these public links and data is stored in Google servers. Computer programs determine which sites to crawl, how often, and how many pages to fetch from each site. You do not need to pay google to crawl and index your website. Google tries to show best possible results and you can not pay them to be in top 10 results. Most websites don’t need to set up restrictions for crawling, indexing or serving, so their pages are eligible to appear in search results without having to do any extra work. That said, site owners have many choices about how Google crawls and indexes their sites through Webmaster Tools and a file called “robots.txt”. Search is simple but there is a really complex process behind search, when you type a keyword in Google you want the best and correct information and answer and Google Algorithms are complex programs that helps google to display exact results you want. You can read more details about Algorithms at How Search Works : Algorithms page. Google has published Search Quality Rating Guidelines eBook which is available for free download. You can download search quality guideline or visit Google’s inside search Algorithms page to read more details. Bad people and web developers try to cheat google by creating spam pages. But google has a really advanced system to fight spam. Google uses computer algorithms and manual review to fight and defeat spam. Spam sites attempt to game their way to the top of search results through Stupid Techniques like repeating keywords over and over, buying links that pass PageRank or putting invisible text on the screen. Now you know it is not easy to cheat Google, so if you want a better search engine ranking create high quality original content, write eye-catching headlines never use bad SEO practices otherwise Google will remove you from search engine results. You can view many original live spam screenshot published by Google at fighting Spam page Here is a sample screen-shot published by Google. Google has published detailed information and guidelines for Webmasters which defines best practices and spammy behavior. When Google manual spam team takes actions on any website, it may directly affect that website’s ranking in Google. Google also notifies web developers when ever they take actions against any website. If Google have taken manual action against your website, you can fix the problem and file a reconsideration request. Choose a Descriptive, easy to remember and Adaptable domain name. 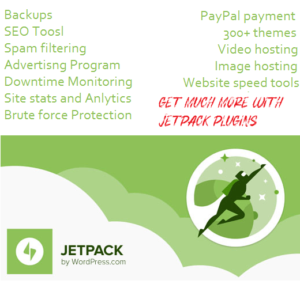 Choose a great search engine friendly CMS. 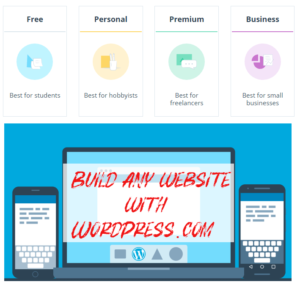 WordPress is a great CMS to build powerful blogs and websites. Create great high-quality, Engaging, Credible, More valuable and useful than other sites and original content. here are some useful links that will help you to not only understand how Google search works but also helps you to create Google friendly and high-quality websites. Previous Previous post: How To Highlight Author Comments In WordPress? Can you do an article on webstarts.com website builder? I’m looking for some feedback on the product. Your blog justlearnwp.com is an excellent source for website builders – a warehouse of guides, tricks and suggestions for website developers especially for beginners. Thanks for creating and maintaining this very useful blog. I am working on building a blog on Googlepages – changes to b made, features to be added, images, videos to be included. Your blog provides much needed help for my website. This is a great informative blog post to learn how to create google friendly websites. Thanks for sharing list of great resources.